Getting ready to visit Indonesia’s popular island paradise of Bali? Don’t make the mistake of choosing your travel times willy-nilly around your easiest vacation days. As much as blissful tropical weather in Bali is held on up a pedestal around the world, there’s something you need to know: it’s not always so perfect. Launch the Bali itinerary of your dreams and minimize the possibility of weather hardships with this complete guide to the best time to visit Bali including a month-by-month summary of Bali weather and tips for choosing the best month to travel to Bali for travellers. The verdict: When is the best time to visit Bali? 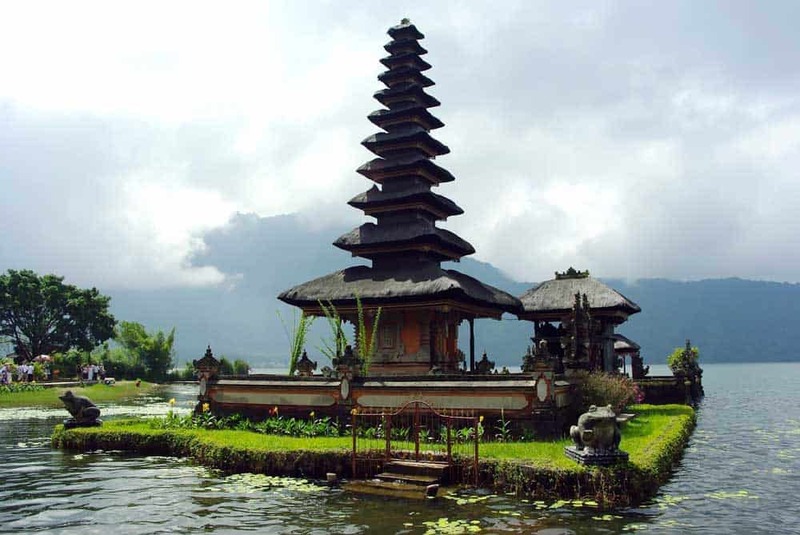 Why visit Bali in June? Why visit Bali in September? Your dream of visiting Bali—lazing on the beach in between frolicking among Balinese temples or verdant rice paddies—probably hinges on the prospect of its picture-perfect weather. Unfortunately, like in much of Southeast Asia, this isn’t always the case. Bali lies not far from the equator and its hot & humid weather reflects this. Temperatures throughout Bali are fairly steady throughout the year with average highs hovering around 28-30ºC and lows around 23-25ºC. Rainfall, however, is a different story. 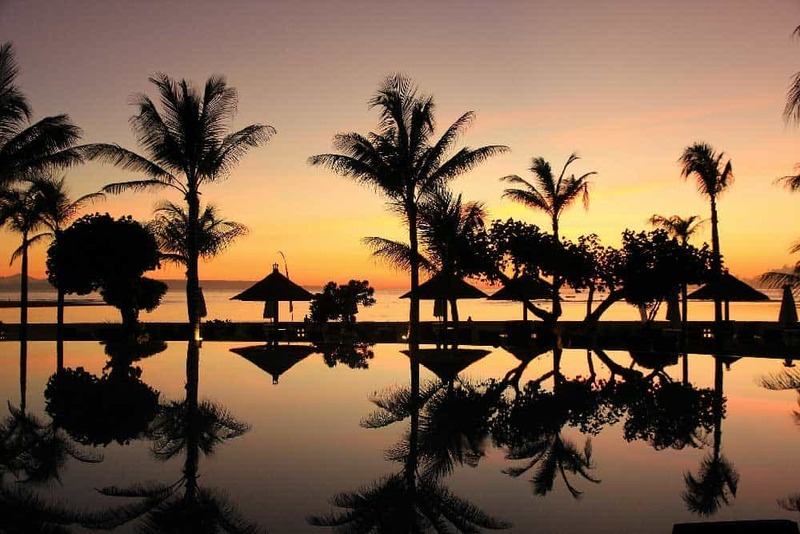 Unlike more temperate destinations, the usual four-season annual cycle doesn’t apply in Bali. There are just two distinct seasons here: dry season and wet season. The best time to visit Bali is during the dry season between May and October. Although you’ll still get rain showers at this time, they aren’t nearly as frequent or heavy. The adverse effect is, of course, that the crowds during dry season are denser. Tourism in Bali’s most popular destinations hits its peak around July and August. Holidays such as Easter, Christmas, and New Years are also among the busier times of the year around Bali. Ready to travel to Bali? Don’t forget to protect yourself with travel insurance! What to expect in dry season in Bali: Bali’s tourism high season hits its stride, unsurprisingly, during the dry season. As the temperatures in Bali don’t shift significantly throughout the year, the biggest weather change you’ll notice in dry season is the decrease in rainfall and humidity. Even with the relatively drier conditions, don’t expect perfect weather. Humidity in Bali during the dry season is still moderate and rain showers still occur throughout the dry season although not as often or as intensely. What to wear in Bali in dry season: With the hot year-round temperatures, be sure to bring along lightweight clothing including lightweight shirts and quick-dry shorts to keep cool. Keep a lightweight breathable rain jacket in your daypack along with a sturdy travel umbrella for the inevitable random downpour. When is wet season in Bali: From November until April. What to expect in wet season in Bali: Southeast Asia’s reputation for nasty weather comes to the fore as wet season rolls into Bali. Like the rest of the year, temperatures in Bali are hot, often inching into the 30s. Humidity during wet season ramps up even further, in its peak leaving few days behind without rain. As you’d imagine, with the exception of a few scattered popular holidays like Christmas and New Years, wet season is the island’s definitive low season. What to wear in Bali in wet season: Much like dry season, the hot temperatures necessitate going light with your clothing choices. Bring along lightweight t-shirts and shorts to keep cool. A lightweight rain jacket and umbrella are a must at this time of year. Overview of weather in Bali in January: The wettest month of the year in Bali is January. Like much of the rainy season, rain often comes down hard and quick in the afternoon after deeply hot & humid mornings. 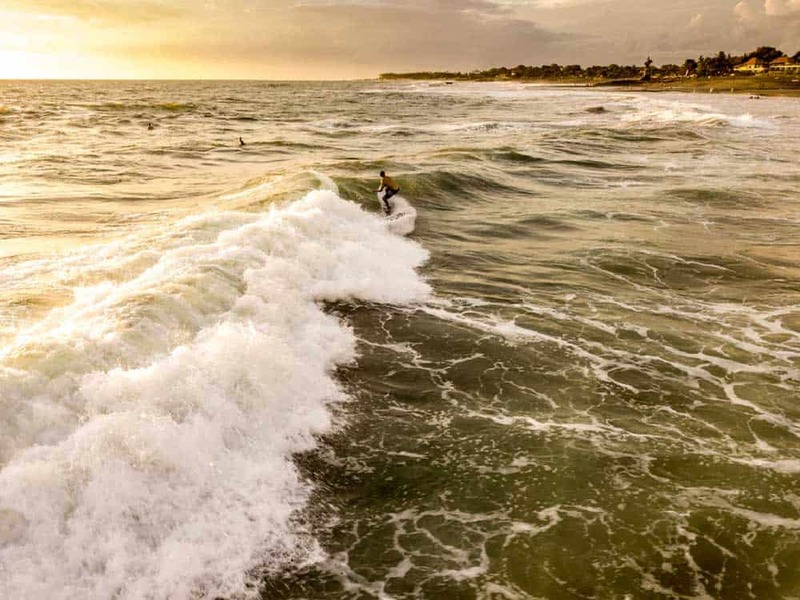 Where to go in Bali in January: With much of the island baking in steam-bath-like conditions, there aren’t many places to go in Bali in January that will be comfortable. If you absolutely must travel during January, the southern coast is relatively dry compared to inland destinations like Ubud. Expect plenty of hotel time to escape the worst of it. Overview of weather in Bali in February: Although slightly drier than January, February is generally quite a miserable month in Bali. Like the previous month, the heat & humidity cause frequent bursts of rain that come quickly and forcefully. Where to go in Bali in February: With much of the island swathed in unpleasantly wet conditions, the northern coast of Bali is one of the better options. Visit Lovina in February to get, on average, slightly less rain than southern destinations like Seminyak or Kuta. Overview of weather in Bali in March: The rainy season finally starts showing more signs of slowing coming into the sunnier days of March. Rainfall becomes less frequent as the humidity begins to slowly notch down. Where to go in Bali in March: Like February, the northern coast of Bali tends to be drier on average than the rest of the island in March. Base yourself in Lovina and take advantage of sunny days by heading inland to check out cool places like Danau Batur, Air Panas Banjar and Pura Ulun Danu Beratan. Be aware that Nyepi (Balinese Day of Silence) often falls in March according to the Hindu lunar new year. Everything on the island effectively shuts down (even the airport), and you’ll be expected to follow suit! 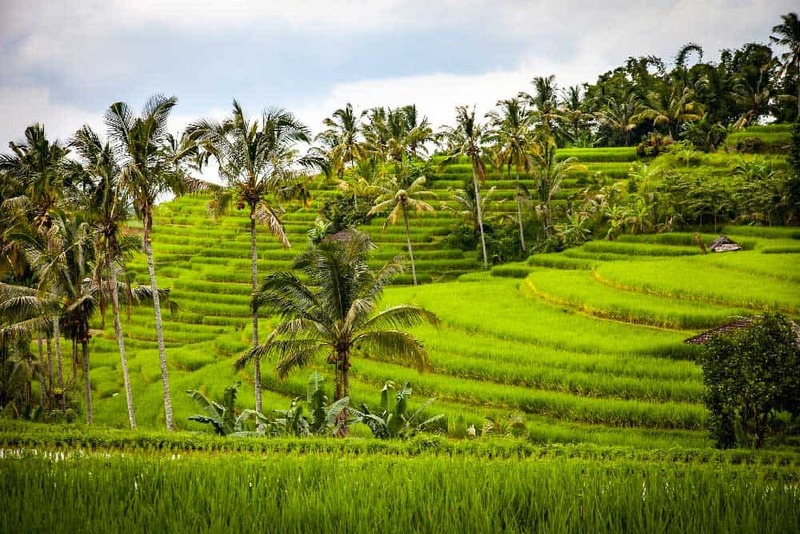 Overview of weather in Bali in April: With the most of the island seeing a sharp decrease in rainfall, the wet season in Bali officially starts to dwindle away in April. Humidity also takes a dip making it more comfortable to move around the island. Where to go in Bali in April: Areas in central Bali like Ubud are still fairly wet in April. You’ll probably want to stick to coastal destinations like Seminyak or Sanur to get the most out of your trip. Surf season on the western coast of Bali starts to heat up in April. Hit the beaches around Kuta and Legian to get the most out of it. Note that Nyepi, the Balinese Day of Silence, can sometimes fall in April. If it does, be prepared as the island effectively shuts down for 24 hours of fasting, meditation, and—who would have guessed it?—silence. Overview of weather in Bali in May: The first (un)official month of the dry season starts in May as rainfall drops significantly throughout the island. Temperatures still stay faithful to Bali’s usual heat but with lower humidity. Where to go in Bali in May: With much of Bali finally beginning to dry out, more of the island is at your disposal than in previous months. Ubud in central Bali is still relatively wet while the coast areas like Seminyak, Jimbaran, Candidasa and Nusa Dua see a sharp decrease in rainfall. 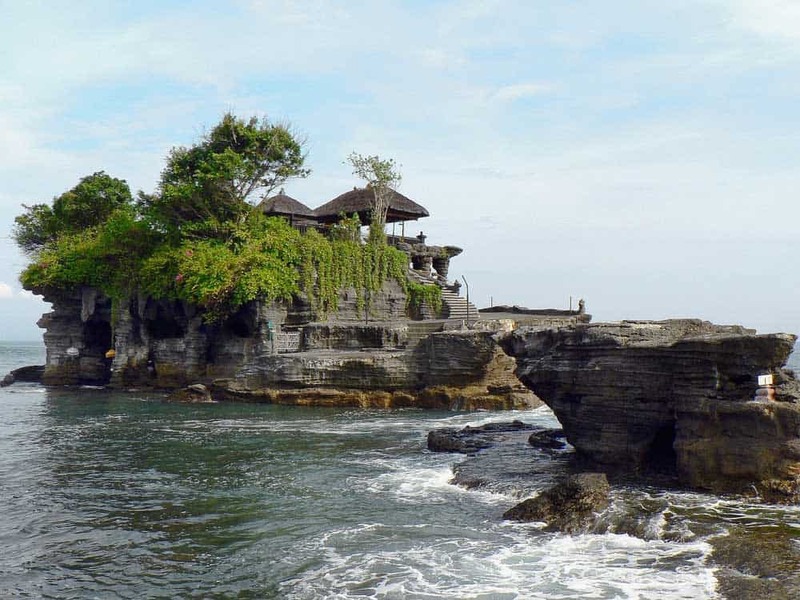 Overall, May is great time to travel to Bali as the weather is steadily improving without the massive crowds that descend upon the island in the height of dry season. May also marks an unofficial start to the scuba diving season in Bali. Overview of weather in Bali in June: The dry season in Bali continues to motor on through June. The temperatures once again remain steady across the board in June while the rainfall continues to dwindle. Where to go in Bali in June: June’s one of the best months to hit up the beaches around Bali. Although crowds start to pick up, it’s nowhere near as busy as the peak summer months of July and August. June is a good time to hit up popular west coast beach destinations, some of the best places to stay in Bali, with great weather before the big crowds start to move in. 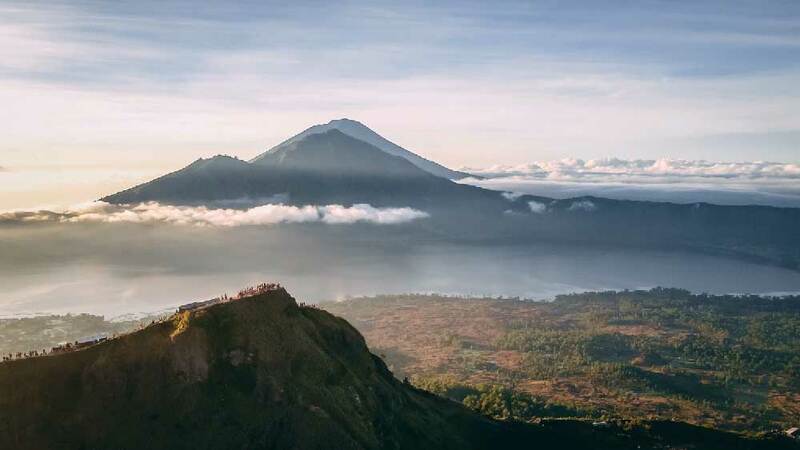 Overview of weather in Bali in July: The first month of the tourism high season, July, sees another big drop in rainfall and humidity across the board with the hot temperatures still unwavering throughout Bali. Expect mostly sunny days with the occasional afternoon of precipitation. Where to go in Bali in July: Just about every place on the island begins to reach its peak in July both in terms of visitors and weather. However you choose where to stay in Bali, expect to pay a premium in July. Book far in advance for the best selection & price for your accommodations. 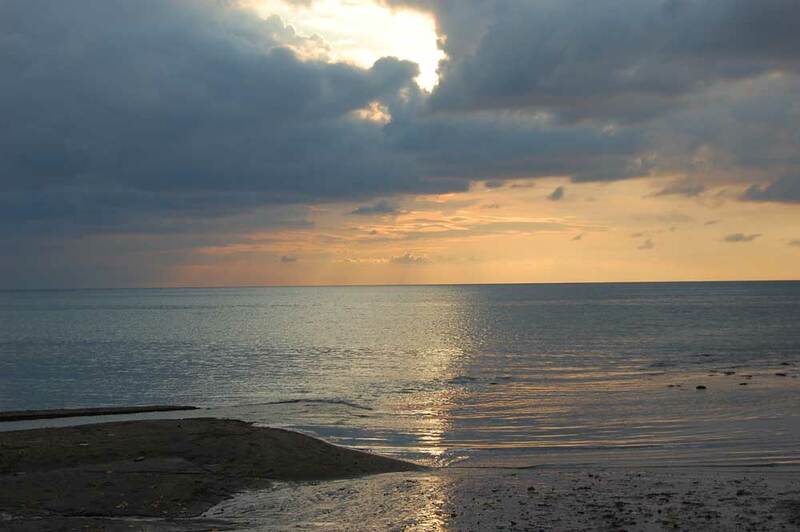 Overview of weather in Bali in August: Like July, August sees tourism in Bali hit its peak. Crowds are at their largest as the rainfall drops to its lowest numbers of the year throughout the island. Where to go in Bali in August: Not only is August the driest month of the year, it’s one of the busiest. Although you’ll enjoy the best weather, you’ll have to deal with ever-increasing crowds. The normally wet central highlands around Ubud see their driest days in the less humid days of August. As if the high season weren’t busy enough, Hari Merdeka (Indonesian Independence Day) falls annually on August 17. This is a popular time for domestic travel within Indonesia and would best be avoided unless massive crowds are your thing. Overview of weather in Bali in September: Like the peak summer months, September is one of the best times to travel to Bali. Although rainfall begins to pick up from the dry season lows in August, September is still one of the driest months of the year in Bali. Where to go in Bali in September: Like much of the year, you won’t be disappointed spending your time relaxing on the best beaches in Bali. Whether you choose the more upscale Seminyak or Nusa Dua or family-friendly Sanur, you’ll get to enjoy great weather for your trip. Since September sees smaller crowds than August, it’s also a fantastic time to scoot up to ever-popular Ubud to get your spiritual fill during its second driest month. This is also one of the best months of the year to go scuba diving in Bali as the sea visibility is near its best. Diving destinations like Amed and Pemuteran are excellent to visit in September. Overview of weather in Bali in October: Although you’ll still find some lovely days into October, the end of the month starts to see a spike in rainfall as the wet season nears. Temperatures remain hot into October while humidity crawls up. Where to go in Bali in October: The beaches of Bali are still kickin’ with energy into the wetter days of October. With rainfall picking up, inland areas slowly become less pleasant to visit. Stick to the coastal areas to enjoy the last vestiges of dry season. Overview of weather in Bali in November: The rainy season launches with a bang as average precipitation more than doubles throughout most of Bali compared to October. Rainfall in November is often in short and intense bursts followed by sunny skies. Where to go in Bali in November: Although the island becomes less glorious by the minute, November is still a decent time to hit up Bali’s beaches. 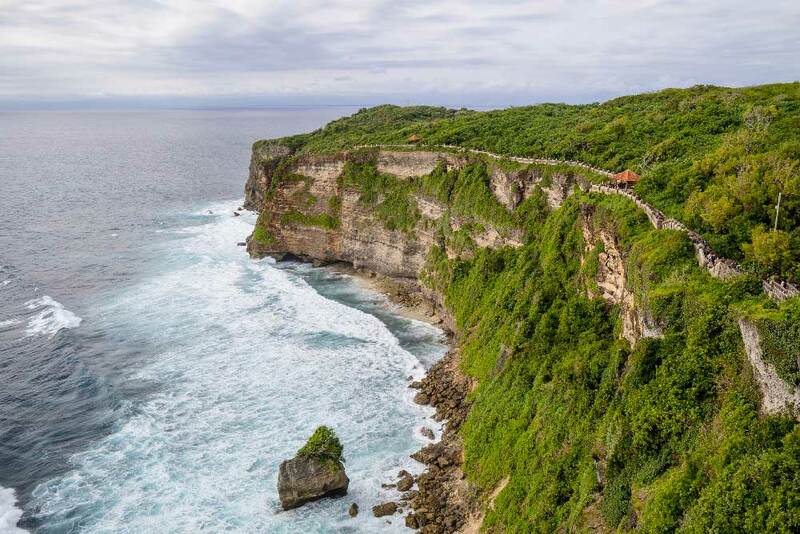 Sticking to the coastal resorts around Seminyak, Uluwatu or Nusa Dua isn’t such a bad idea. At more than double the precipitation than in October, the central highlands aren’t for everyone in November. Overview of weather in Bali in December: The second rainiest month of the year in Bali, December is certainly a mixed bag for travellers. Like other months in the rainy season, December is famous for its quick & virulent rainstorms that whisk away as fast as they swoop in. Where to go in Bali in December: With much of the island in the throes of the wet season, it’s really a judgement call as to where to go in Bali. The drier coasts are preferable to the soaked-up inland where the wettest days of the year are taking over. Despite the relatively miserable weather, December is one of the high seasons in Bali because of the Christmas holidays. The best month to visit Bali is June or September. Although Bali is at its best weather-wise at any time during the dry season from May until October, June deserves a special mention. Compared to May, the first month in Bali’s dry season, June sees significantly less rainfall. And while there are drier months in Bali, June falls to the right side of the peak tourism season when the island becomes the playground of beach bums, backpackers, and semi-retirees from all the world. Besides dealing with smaller crowds, in June, especially in the first half of the month, you’ll pay less for better quality rooms than in the peak months of July and August when prices spike precipitously. Like the other top shoulder season of June, September witnesses a decrease in tourist numbers compared to their peak in August. The result is a better selection of accommodations at more reasonable prices (30-50% savings in some cases) while not compromising on weather.